Maximo introduced with Version 7.6 a new feature which allows you to test your automation scripts in context of a new or an existing Mbo as well as in context of the Maximo Integration Framework (MIF). The downside of that new function is, that I currently have not found any good documentation and that some features like the object path syntax are not self explaining. In this two part series I would like to introduce the new “Testscript” feature and explain how easy it is to use for your daily script testing. In part 1 we will cover the test of scripts in context of a Mbo and in part two I will show you how to test in context of the MIF. The old styled “Run Script” testing is no longer visible but can be enabled again using the trick in my other post. At the top you will see information about the script and the selected Launchpoint we are running on. 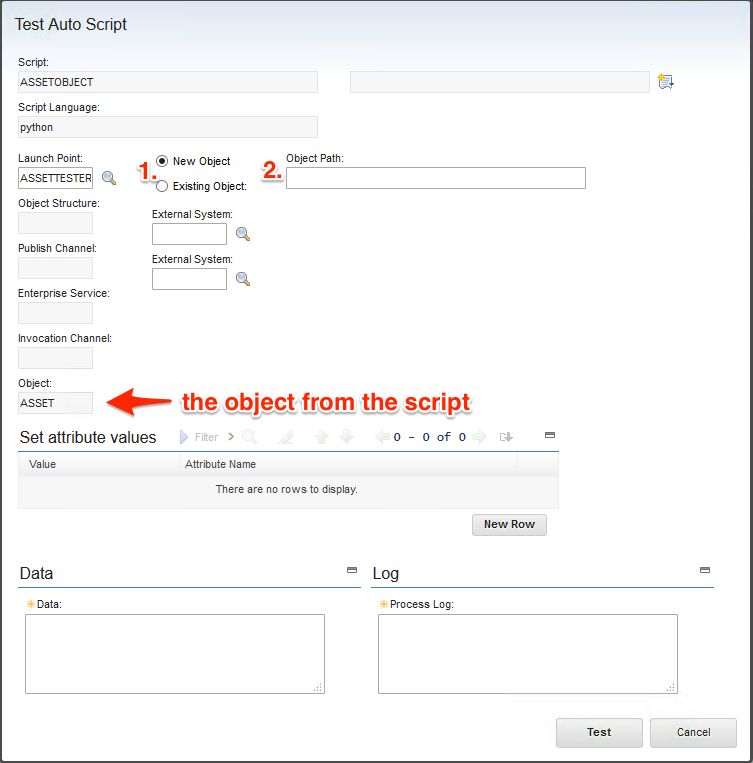 With 1. you will select if we want the script to be tested against a newly created object or and existing object. Important to remember, that you always get only a single resulting record to your script. This is the default behavior for an object script, where the resulting set is stored in the implicit Launchpoint variable mbo. If you select Existing Object and specify an Object Path (remember to copy the Object Path to the clipboard – you have to reenter it for every test!) you can press the Test button. Data contains the resulting MBO in XML format. Log contains the output of the Print statements of the script. So far we just have discussed the Existing Object path. If you like to create a New Object this also can be done with the testing function. The testing function basically calls an mboSet.addAtEnd() function to append a new record to the given MboSet. With the usage of Set attribute values you can predefine fields of the newly created Mbo before it is handed over to the Jython script. A bit strange is, that if you try to create an Asset Object and do not specify an ASSETNUM you will get an error, that the asset field needs to be specified. If you will set the ASSETNUM field you will get an error, that it is readonly and cannot be set. So far for this first tutorial on the new Test script capability. In the next part I will cover the capability to test automation scripts customizing the MIF Interface. 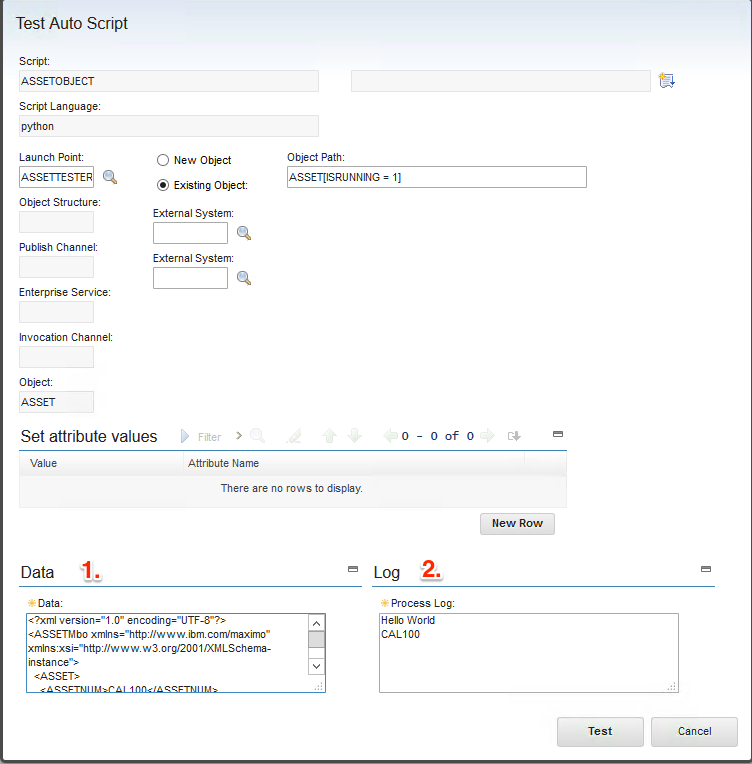 We are using Maximo CD 7.6 and there is no “Test Script” button or signature in the AUTOSCRIPT application. Is this an OOTB funtionality ? 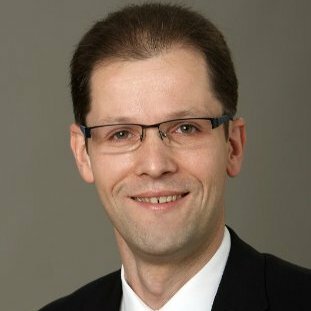 Recently, I installed Maximo 7.6.0.0 and upgraded it to 7.6.0.8 version with Utility and Spatial Add on. 1.When I created a basic Object level script to set a description for Asset and Workorder,in both cases I couldn’t see the changes on UI and even logs are not getting printed. 2.For Jobplan ,Object level script is working.Tried Woactivity and Jobplan attribute launch points,they worked. Any reason why it is happening.Moreover,in test functionality process log doesn’t show print statements result. UI changes are always hard to archive with automation scripting since you have no control of ui. For the logging issue have you tried to use the logging command as shown in this articel? do you have any input on what might be the cause?